Shopping Natural Latex Mattresses: Is Talalay or Dunlop Better? If you’ve never tried sleeping on a latex mattress (and many people haven’t), you owe it to yourself to see what you’ve been missing out on. Just as the conforming touch of memory foam feels totally different from the responsive support of springs, latex occupies a territory completely its own. How Long Have Latex Mattresses Been Around? It may come as a surprise to some, but latex mattresses have actually been around about as long as innerspring mattresses. In the late 1920s, British tire manufacturer Dunlop developed the first latex mattress, which they aptly named Dunlopillo. Today, Sherwood Bedding is proud to hold exclusive rights to manufacturing the Dunlopillo® brand, having implemented a number of our own materials science advancements to effectively bring Dunlopillo® into the 21st century. Talalay Latex vs. Dunlop Latex: Which is Better? When shopping latex mattresses, a great deal of confusion exists around the terms Talalay and Dunlop. Many people think Talalay and Dunlop refer to the type of plant that the latex source material comes from, but that’s really not the case at all. In fact, neither of these two names has anything to do with the source material being used, but rather the processes by which latex rubber is vulcanized. In the older Dunlop process, liquid latex is foamed before being pulled into a mold. It is then moved to a vulcanizing oven and essentially “cooked” into its solid form. 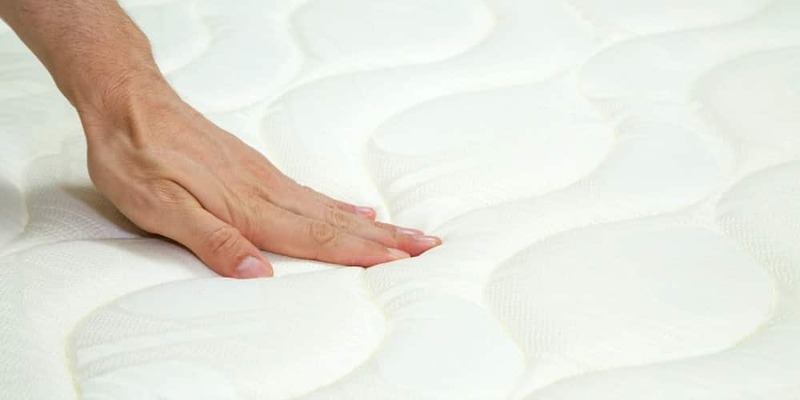 The more modern Talalay latex process, on the other hand, requires a series of extra steps to achieve an end product that has greater breathability, provides more desirable bounce, and sleeps overall cooler than Dunlop latex. In the Talalay process, liquid latex is first foamed and placed into a mold in a similar manner as with the Dunlop process, but this time the mold is only halfway filled. The mold is then closed, and an advanced vacuum system expands the already foamed liquid latex to make it even more porous and conducive to breathability. Following this step, cold carbon dioxide gas is pushed through the mold to effectively freeze the expanded foamed material into a gel-like state. Lastly, the gel-like latex is moved to a finishing oven for vulcanization of the rubber end product. Another aspect that often gets confused when shopping latex mattresses is that the words Talalay and Dunlop tell us nothing about whether a latex is made from natural or synthetic materials. The truth is that both types of latex can be made from either natural or synthetic latex source materials, so it’s important to know whether you’re buying natural or synthetic Talalay latex, for example, as opposed to just Talalay latex. While natural latex is made from the sap of rubber trees, synthetic latex often relies heavily on petrochemicals and other undesirable agents. Although original 1930s Dunlopillo® mattresses were (as the name suggests) made with Dunlop latex, Sherwood Bedding’s modern day re-issue of this legendary brand features exclusively Talalay latex. That’s because Talalay latex, albeit more expensive and time-consuming to produce, is widely recognized for sleeping cooler than Dunlop latex. It also provides a uniquely sought after bounciness that can’t be achieved through traditional Dunlop processes. If you’re among the many who have still yet to try a quality natural latex mattress like Dunlopillo®, we recommend experiencing the difference first hand by visiting a retailer in your area. After all, once you feel all the unique benefits that natural Talalay latex has to offer, you may never want to sleep on a spring or memory foam mattress ever again.